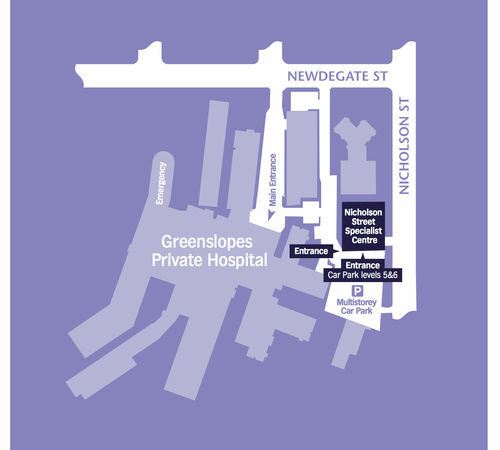 Parking information can be found on the Greenslopes Hospital website. 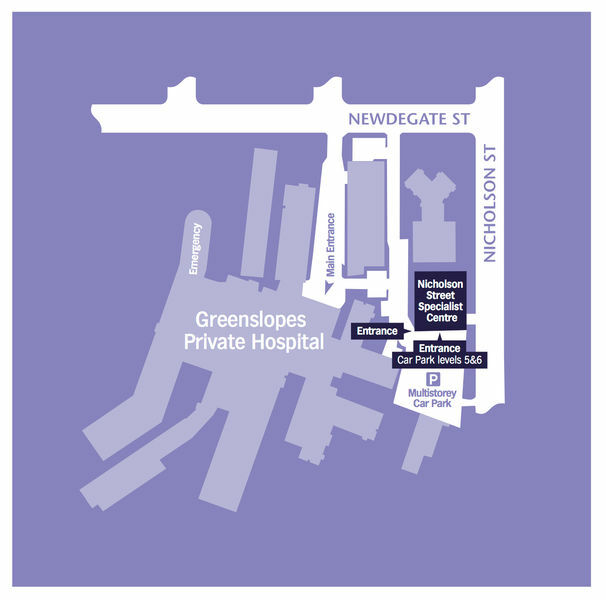 Access is via the multistorey car park lifts on levels 5 and 6 - the lifts closest to Newdegate Street. Entry to the car park (Level 6) is possible via a small gate from Nicholson Street. This gate doesn't have wheelchair access at this stage.